What distinguishes the great music from the not so great? This topic definitely relies on a large amount of subjectivity. But objectively, there are some clear factors that may be holding you back from creating more professional sounding music, and some definite things you can do to improve it. We spoke to two guys with some serious musical knowhow. The first is Jack Arentz, one half of arising electronic duo Kult Kyss, and owner of Joyluck Studios in Melbourne, where he works as a producer and mixing engineer. The second is Doug Wright – a Liveschool music theory and performance trainer, one half of the house duo Fishing, and head of the label Body Promise. With their knowledge, we’re going to walk you through some actionable tips to help bring your music to the next level, sonically and creatively. The quality of your mix is one of the primary factors that can distinguish a top-quality track from a weak one. And it’s one that listeners will hear and react to, even if they can’t put a name or quality on why it’s wrong. 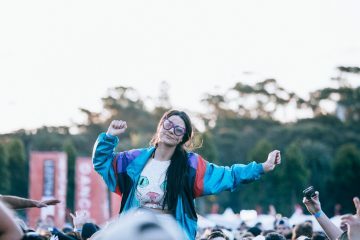 “There’s no substitute for mixing and creating something at home, then taking it to the club and mixing a really fantastically mixed track into your track, and just hearing how the energy comes out of your track. You might notice how a professional mix has a width, fidelity, and density to it, and then playing your own track, and it just sounds thin and weak, strong in the wrong areas,” says Jack. And this is exactly how listeners can categorise the professionals and the amateurs, even if they don’t know how or why it doesn’t sound great. 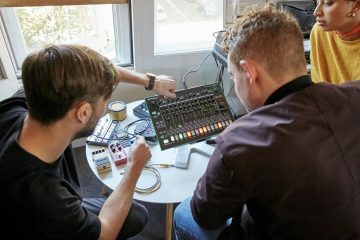 Mixing is just as deep of a rabbit hole as production is, and if you notice your mixing skills aren’t adding anything positive to your tracks – or even taking strength away from it, then you may want to consider outsourcing a mixing engineer, to make your track sound the way it should. It’s often difficult to hear the mistakes in your mix and make the correct adjustments, when you’ve been listening to it non-stop for hours or days at a time. With a fresh perspective, mix engineers can create changes in your track that you would have never thought of. By doing so, you can also free up a lot of time spent trying to get your mix sounding incredible, and focus more time on arrangement, sound design, and the overall quality of your track. But whether you want to get hands on in your mix yourself, or are passing on the task to a professional, you’ll need to understand what makes a great mix. If not, how can you evaluate the work of yourself or others? “A good mix covers the entire frequency spectrum. It has a sense of dimension to the mix, certain elements are in the forefront, certain elements are in the background. A lot of mixing is choosing which elements go where, and what needs to be the focus at what point,” says Jack. Start first by identifying what should be the focus, tone, and overall sound, throughout each major section in your song. And then, we go deeper. “There are definitely fundamentals to creating a professional sounding mix. You’ll need to be getting rid of resonant frequencies, which are sounds that make the speakers inefficient essentially. In any kind of recording, synth or instrument, there’s always certain frequencies that need to come out to make space for other things or to make another instrument more present. Then you have compression, bringing up dynamics of fatness and warmth, you have the reverb which creates space, spatial designers which increase the width of the mix, ” says Jack. But mixing isn’t about slapping these effects together just because you can. “You have to use all these elements, and what separates an amateur mix from a professional mix is someone that knows how to use those elements tastefully, and can use those elements to their maximum potential without making it sound cheesy or forced,” says Jack. If you can’t create your own sounds, you’ll be spending a lot of time trying to find sounds that are similar, but never meet what you’re imagining. And that’s a frustrating position to be in. Additionally, if you can’t make the correct changes to the design of the sound, your sounds may start to clash. Learn the fundamentals of synthesis, get your hands on a synth like Massive, Serum, or any of the other top quality options on the market, and play around. “If you get in the habit of making your own patches from scratch, you have the technical skills to sculpt your sounds better. If you only know how to use presets, you’re at the complete mercy of the preset. If the preset is lacking a particular tonal characteristic, if you don’t know how to deconstruct the preset and get into the software deep enough, it makes it more difficult for you in the long run. So choose one synthesiser plug in, learn how it works really well, and you’ll be far greater off, because you’ll be able to design sounds that you need as opposed to finding random sounds that might be really cool, but may be too thin or too big, and then you’re in the situation where you don’t know how to change them,” says Jack. A great way to watch yourself improve in production techniques and sound design is by a constant process of comparison, practice, and analysis. “To me, professionalism is not always a question of audio fidelity; something sounding professional is when there’s an interesting musical idea that has been fully realised using production techniques appropriate to the style. A great place to start is having a clear idea creatively about what musical world you would like the track to fit into, and constantly referencing your work against other tunes from the same world,” says Doug. Through a lot of listening, production, and research, you’ll gradually get a sense for what techniques and design elements are being used to create certain sounds within your preferred style, and how your music can be improved to reach that quality. “Try to intellectualise why certain songs sound so good, and what they’ve done to make it sound the way it does,” says Jack. Music has rules, and they’re rules that often get broken in incredible sounding ways – but you can’t break them if you don’t know what they are, the effects they create, and how they relate to each other. With a quick search, you’ll find plenty of free and paid resources online ready for to help you learn music theory, both fundamental and advanced. Liveschool even offers a focus module on the subject, to teach you the knowledge you need to turn theory into a tool that encourages your creativity – not restrict it. If you’re looking to move your production to the next level, evaluate your performance and knowledge in these three areas, and what you don’t know or haven’t done. Then go out there and do it. If you need a more structured system of learning, with support and outside feedback from those currently killing it in their industry – Liveschool offers focus modules in all three of these areas – sound design, production, and mixing, and more. Armed with these skills, hard work, and some time, you’ll hear your tracks alongside the pros and hear little to no difference in quality. “No matter how long you’ve been doing it, you can always improve on what you’re doing. In my experience, the best way to do so is just to write heaps of music, try new things, always be learning, share your ideas with friends and other producers for feedback, listen religiously and listen critically,” says Doug. 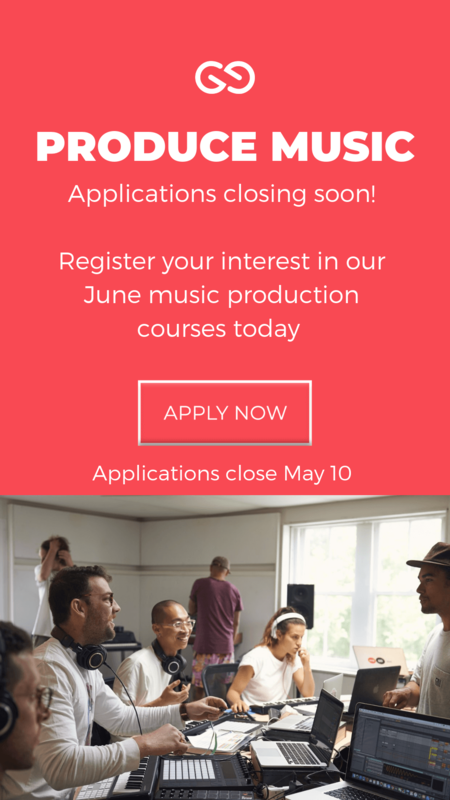 Interested in producing music or skilling up? 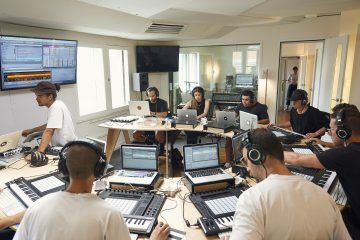 Take a look at our ‘Produce Music’ course to get the in’s and out’s of music production! Learn to make music like the pros in just 6 weeks!